The term 'cryptopolitics' draws attention to the significance of hidden information, double meanings, double-crossing, and the constant processes of encoding and decoding messages in negotiations of power relations. Panelists will investigate public culture, sociality and power in all its forms. We propose the term 'cryptopolitics' as a way to draw attention to the significance of hidden information, double meanings, double-crossing, and the constant processes of encoding and decoding messages in negotiations of power relations. These phenomena are not new, but they take novel forms and have new consequences when they enter society through digital media. 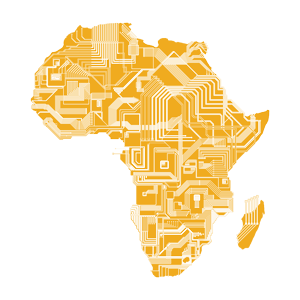 Increasingly power in Africa is entwined with the expansion of digital technologies and media. Diverse multi-media platforms facilitate new spaces for participation in governance, and redefine power relations on the levels of households and livelihoods. This panel investigates some of the tensions and contradictions, continuities and discontinuities arising from the affordances of digital media. Ideas about digital Africa have been dominated by narrow conceptualisations of the significance of the digital primarily in terms of development and entrepreneurship. The creativity of Africans' engagements with digital technologies, however, is more complex. The technology is diverse, from applications on simple feature phones, to advanced online and smartphone based platforms. Emerging digital media infrastructures present increasingly complex combinations of online and offline activities, public and private actors, and diverse interests. We invite panelists to think about public culture, sociality and power in all its forms and to bring ethnographic methods and sensibilities to questions of innovation, virtuality, embodiment, disruption, connection, ambiguity, revelation, and concealment. We welcome papers dealing with diasporas/migration, youth culture, religion, protest, and gender, among other topics. The power to conceal in an age of social media. Urban masculinities in digital Kinshasa. Gendering media ideologies.